Dialers are used to enhance productivity. Predictive dialers are used for Inbound and outbound operations. To record telephonic conversations for quality and training purposes. 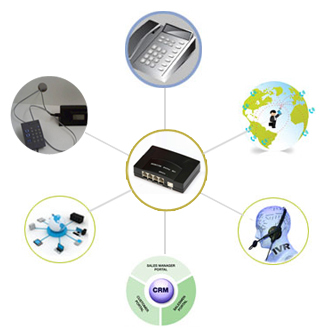 Voice connectivity with multiple telecom providers. 8 MBPS 1:1 leased line connectivity with redundancy. Highly secured data storage devices with back up. We create CRM for all our clients and the access is given to client to monitor the operation remotely. Interactive Voice Response system to collect financial information from customers in a secured way.